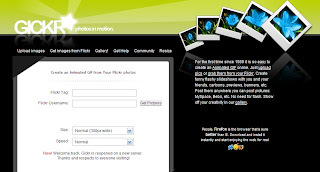 Gickr is an online tool that allows you create animated GIF photo. It is really simple, just upload your photos from your PC or grab photos from Flickr, it will give you a GIF photo. You can use this tool without register.